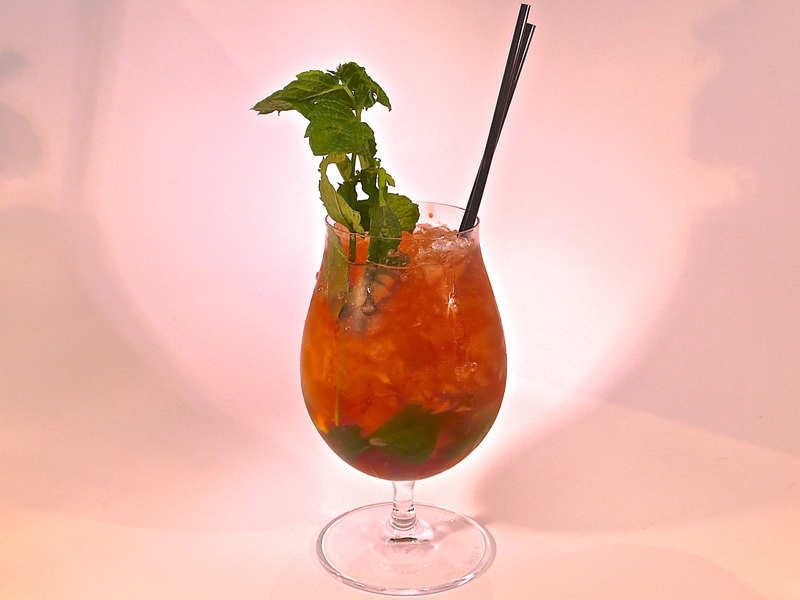 In a Collins glass, lightly muddle the mint leaves with the top of your swizzle stick. Squeeze the lime wedges and drop the skins into the glass. Add the remaining ingredients and fill with crushed ice. 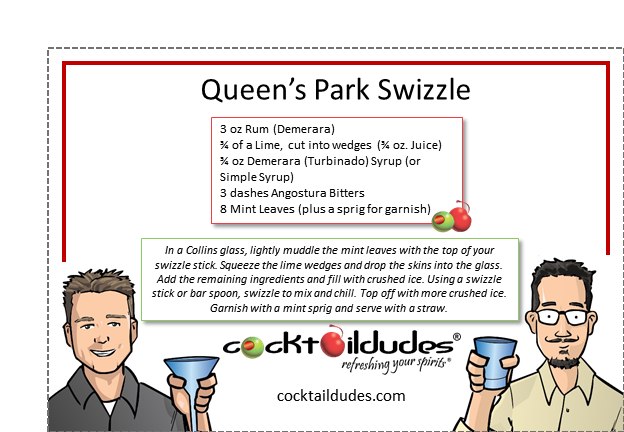 Using a swizzle stick or bar spoon, swizzle to mix and chill. Top off with more crushed ice. Garnish with a mint sprig and serve with a straw. This refreshing classic originated in Trinidad’s Queen’s Park Hotel in the 1920s. A nice, cold, refreshing drink, this cocktail draws its complexity from the flavorful Demerara rum. Pleasant notes of mint, hints of cinnamon and clove (from the bitters), and well-balanced tartness from the lime juice make this drink the perfect summertime quencher. This is the first “swizzle” to include citrus, and is the grandfather of today’s mojito. You can use regular simple syrup, or make Demerara (Turbinado) syrup for added depth. Most top this cocktail with the Angostura Bitters (for a nice visual), but we prefer mixing it all together for a homogeneous taste. If you’re a fan of a Dark & Stormy or our Tamarind Storm, you’ll love this cocktail. Cheers!